Hardwicke is a London based barristers chambers specialising in UK and international legal advocacy and advice and all forms of dispute resolution including mediation, arbitration, adjudication, expert determination and early neutral evaluation. Hardwicke is a London based barristers chambers specialising in UK and international legal advocacy and advice and all forms of dispute resolution including mediation, arbitration, adjudication, expert determination and early neutral evaluation. Chambers UK and Legal 500 recognise us as a leading set and recommend a large number of our members as leading practitioners. Commercial dispute resolution: banking & finance, civil fraud & asset tracing, commercial arbitration and litigation, disputes involving companies, joint ventures and partnerships; employment & executive disputes; franchising; IP and private international law. Construction & engineering: adjudication, construction arbitration and litigation, energy & renewables as well as property damage. Insolvency & restructuring: corporate and personal insolvency and directors’ disqualification. Insurance: construction insurance, insurance coverage, insurance funded disputes, litigation insurance and professional indemnity insurance. Personal injury and clinical negligence: disease, fraud, inquests and product liability. Private client: contentious probate & Inheritance Act claims, Court of Protection, Trusts including TOLATA, community care and social welfare/benefits. Professional liability: in relation to various professionals including in the medical, financial, insolvency, legal, property and construction fields. Property: commercial landlord & tenant, development, housing (social/privately rented), leasehold & leasehold management, real property & mortgages and trust of land. We are a successful chambers with a reputation for high quality legal expertise, excellent administration and an approachable, business-focused style. You can e-mail us any time at PracticeManagementTeam@hardwicke.co.uk or call us on +44 (0)20 7242 2523 during our office hours from 8.30am to 6.30pm, Monday to Friday. Select a year below to download a .pdf of the previous winners and nominees. 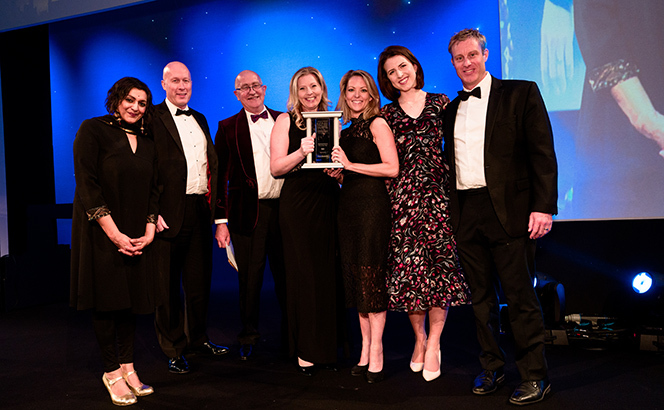 This award highlights the UK-based regional or offshore firm (with headquarters outside of London) that has made the most significant progress over the past year in advancing its strategy. Key factors taken into account will be evidence of effective leadership, impressive financial performance and increased market share. Ogier has a clear target of being known as the most innovative and technologically adventurous offshore firm and in 2018 made considerable progress in making those claims a reality. It is now 92% complete in its goal of training all 500+ of its staff, including 61 partners, in Lean Six Sigma, with two Black Belts leading a firmwide project to find efficiencies and operations across all offices. Continuing its consistently impressive organic growth, South East heavyweight Stevens & Bolton posted a 9% hike in turnover in 2017/18 – its seventh consecutive year of growth – to a record high of £26.8m. Profit per equity partner, meanwhile, also hit new heights, increasing by 25%. This Channel Islands-based, global offshore player extended its international footprint in 2018 with a significant move into the key market of Bermuda – the firm’s ninth office and fifth legal jurisdiction. This move cements its place as one of the strongest offshore firms. Last year AIM-listed firm Gateley made its first legal acquisition since its landmark £30m listing in 2015, buying Surrey-based GCL Solicitors for £4.15m. Three years on from its IPO, Gateley's market cap has nearly doubled, with revenue for the year to 30 April 2018 up 11% to £86.1m. National firm Mills & Reeve enjoyed another stellar year in 2017/18 with turnover rising to a record £106.3m – an increase of 14% on the previous year. As a result of the strong financial performance the firm announced the largest ever all-staff bonus pool of £2m, equivalent to 7% of the firm’s salary bill. In 2018 this 250-year old firm confirmed its position as one of Scotland’s leading independents, a position that had been dominated by rivals Brodies and Burness Paull over the previous five years. In fact, it has matched the revenue growth of its larger peers over that period, up 49%. Years of shrewd leadership by veteran Pester have seen this Bristol-based firm emerge as a key player on the national stage while continuing its steady climb up the LB100. In 2017/18, TLT’s revenue moved up 10% to £82m and its PEP soared by 35%, making it the fourth fastest-growing firm for partner profits in the entire LB100.